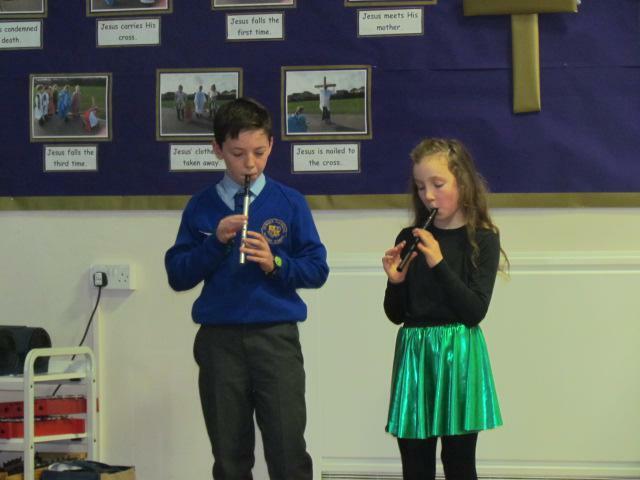 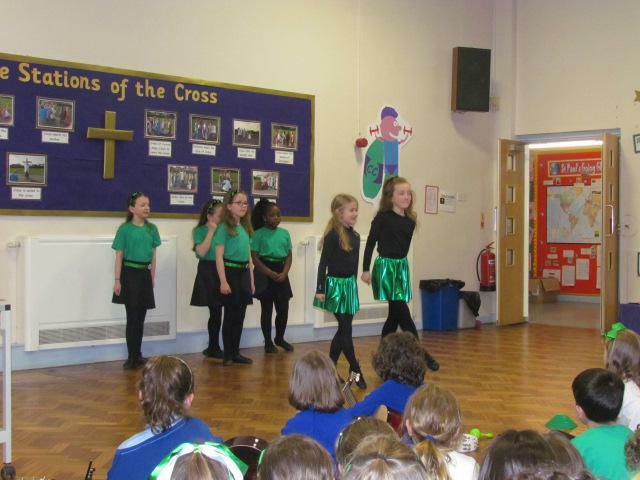 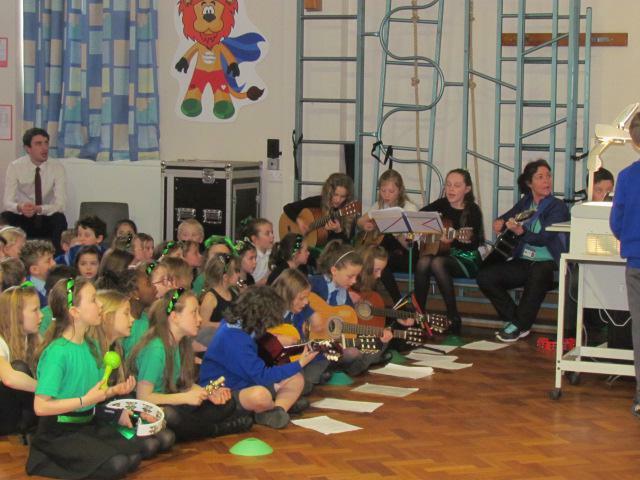 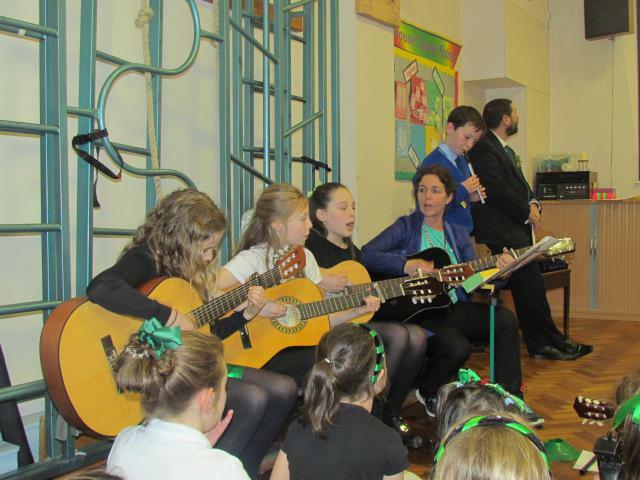 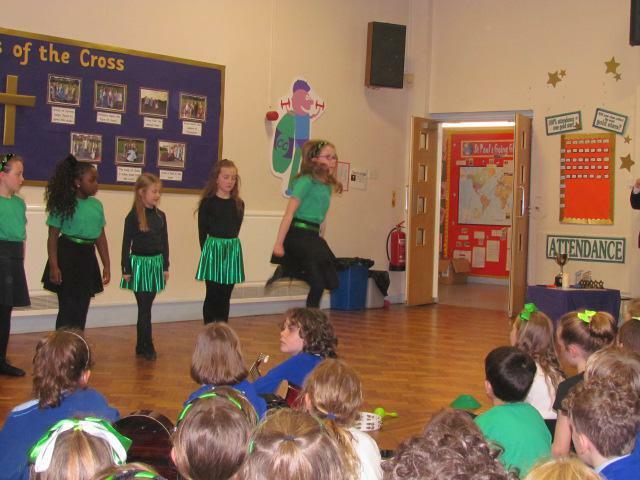 Irish singing, dancing and tin whistle playing were some of the special talents showcased by our pupils in today's celebration assembly, marking the 17th March, St. Patrick's Day! 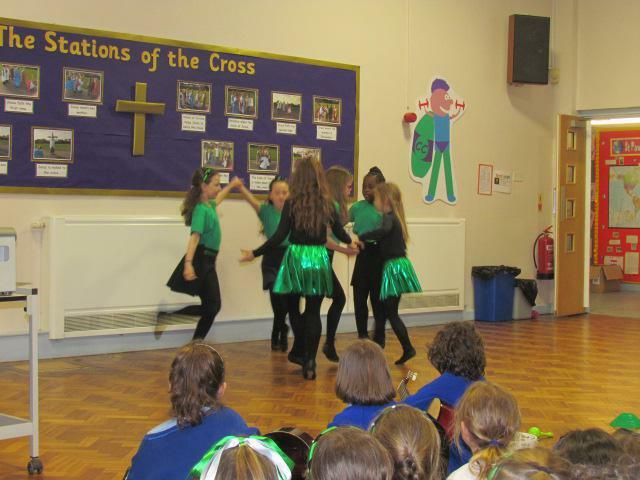 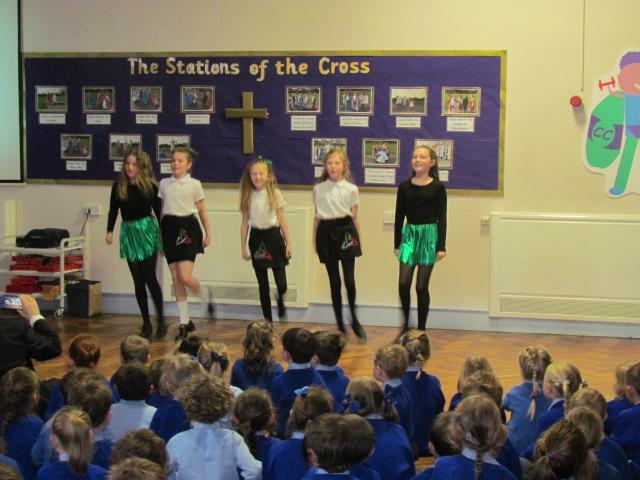 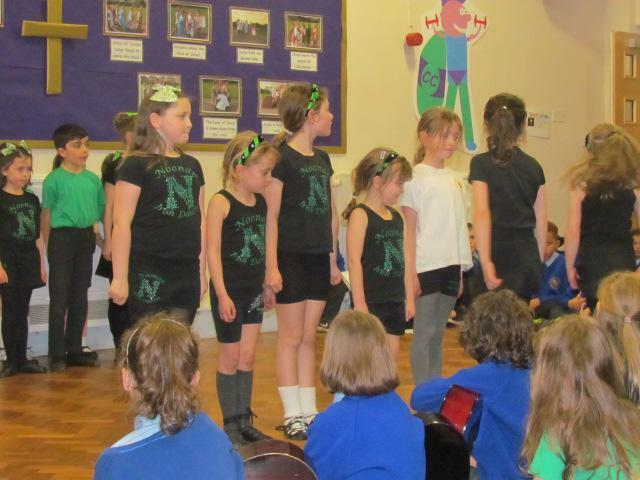 Everyone enjoyed the singsong and were mesmerized by the intricate footwork of the fabulous Irish dancers. 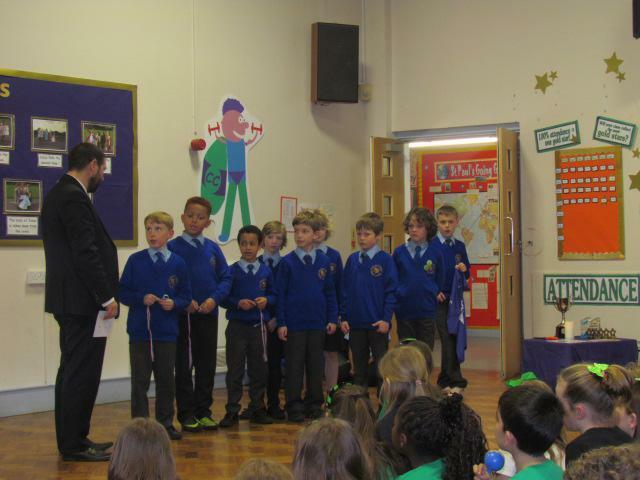 We also celebrated St. Paul's sporting success; with our U9's football team being silver medal winners in the GSAL football tournament and the excellent achievements of Rhys Chadwick-Chaplin and Joe Jordan who ran very well representing Leeds in the West Yorkshire cross-country championships.